To view our Annual General Meeting (AGM) minutes, our annual report and our call for nominations, click below. Tanya is an Account Executive with 3M Canada Company managing 3M’s Traffic Safety and Commercial Graphics accounts for Atlantic Canada. For the previous 9 years, Tanya’s main responsibility has been territory management of her accounts to meet growth targets and promote 3M Traffic Safety solutions and Graphics materials. David is the Canadian Risk Prevention Manager for Michelin Tires (Canada) Inc. He is responsible for supporting Michelin's Canadian and US sites to drive progress in the Safety, Ergonomics, Fire, Security, Occupational Health and Business Continuity domains. Paul is the Senior Business Partner, Safety Systems and Environment at Acadian Seaplants Ltd. Building on a progressive safety career, Paul is responsible for the safety and environmental systems at several manufacturing sites, as well as overseas operations. Paul holds his Canadian Registered Safety Professional Designation and is actively involved in various local safety associations and committees. 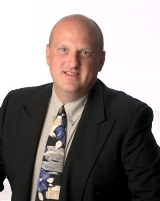 Brad is the Vice President, Supply Chain & Procurement for the Nova Scotia Liquor Corporation. Brad ensures the highest level of in-stock product positioning in the NSLC’s Distribution Centre and manages the distribution to all sales channels in an efficient and safe manner. Carol is the Director of Human Resources at the Prince George Hotel / Cambridge Suites Hotel, where she is responsible for the development of HR standards and practices creating the culture of highly engaged and motivated teams. She has a fresh, progressive approach to developing health & wellness initiatives, employee programs, contributing enthusiastic community support and is a forceful industry advocate for higher education and training. She has received the Crystal Award for Excellence in Human Resources Leadership from Tourism Industry Association of Nova Scotia (TIANS) and the Employer Business Award for recruitment initiatives with immigrants from Immigrant Services Association of Nova Scotia (ISANS). Carol is an active board member with Ability Employers, ISANS Employer Advisory Council and a member of Hospitality Human Resources Committee (HHRC). Rob is the Corporate Occupational Health and Safety Manager with the Shaw Group ltd. As part of a team of many we manage and promote our OH&S system to help ensure the employees have the proper tools needed to work in a safe environment within the vast complex operations of Shaw. We strive for employee engagement and a strong safety culture. Heather is the Human Resources and Safety Manager at Scotia Recycling Limited, located in Hantsport, Nova Scotia. She is responsible for leading both functions for thirteen locations across the Atlantic Provinces. Carolyn is the Manager of Farm Safety Nova Scotia with the Nova Scotia Federation of Agriculture. In her role, she is responsible for the operations of FSNS and the health and safety programs and services provided to Nova Scotia farms. She is actively involved in various industry organizations including the Board of the Canadian Agricultural Safety Association. Richard is a seasoned manager with over 30 years’ experience in management with his CPHR certification. Currently employed with Northern Pulp as Human Resources Manager. He has a solid background in Human Resources, collective bargaining, labour relations, disability management, health and safety, succession planning, recruitment, policy development, performance management, training and development, productivity improvement and employee engagement. Originally from Halifax, Steve grew up in the Moncton area, commencing his work career with the Canadian National railway company. After completing studies at Mount Allison University, he worked on projects in Railway, Power Generation, Pipeline, Oil and Gas Offshore, Oil Sands, Shipbuilding (and many others) at home in Nova Scotia, across Canada and in the US, UK and Africa. Steve is a former Police Officer and Paramedic, currently volunteering with his local Fire service. Steve returned to work in his native NS in 2018.